I’ve always been eager to try the ‘Teh Tarik Place” out and thanks to Food Ink, I got myself an invite to tryout their latest dishes! HOORAH! 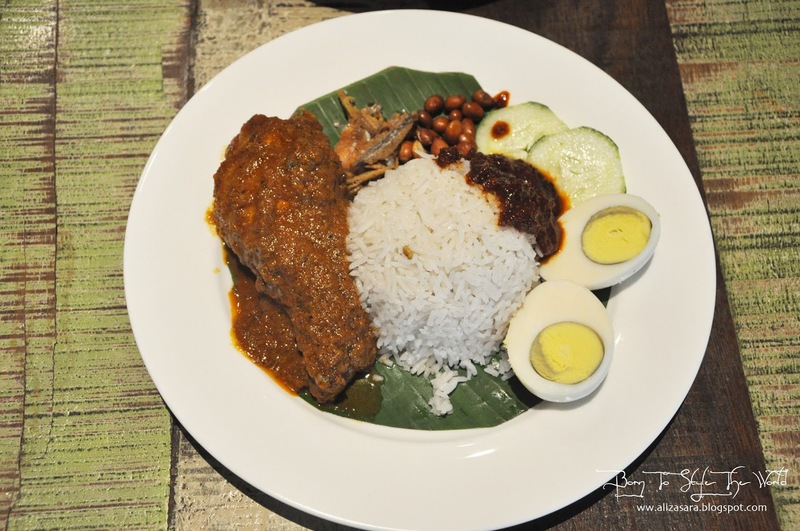 Malaysian food at its best, and as a KL Tourism Ambassador, I cant wait to get hands on with their food options to suggest to tourist who decide to try out Malaysian Cuisine. 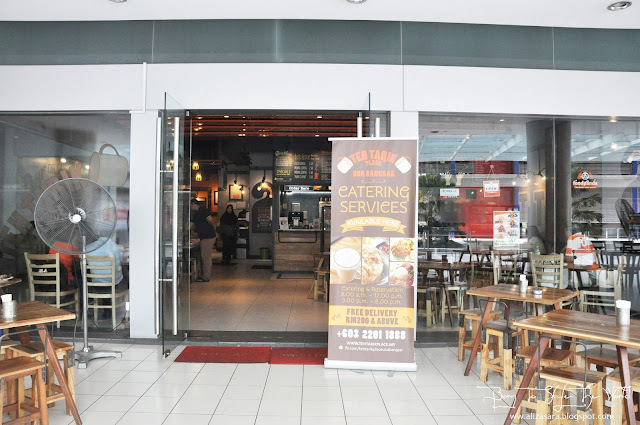 Since they are considered a franchise, this particular store is located in Bangsar, which happens to be connected to Bangsar LRT station. Super easy if you decide to travel by public transport. 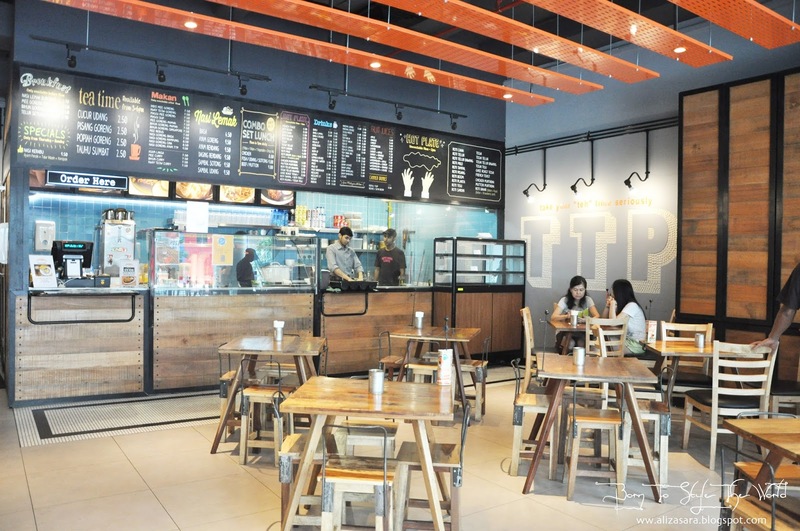 But before proceeding to the food options, lets checkout the place. 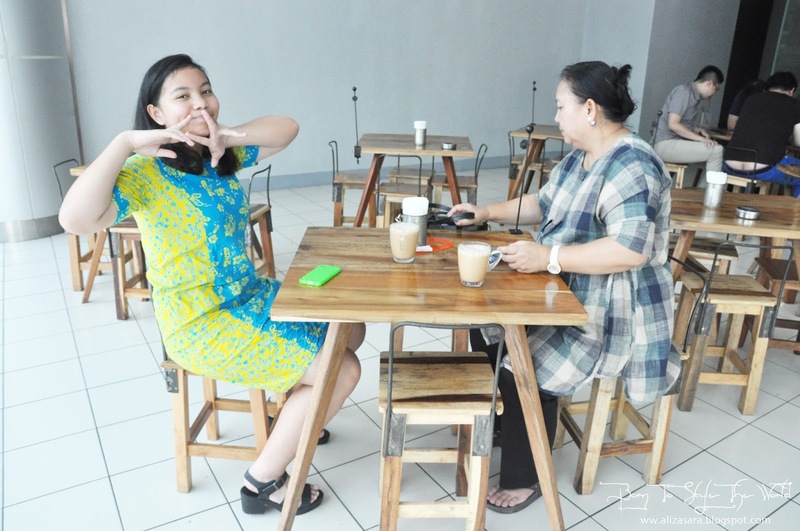 Personally, I really like their decorations on the walls, and since I come from a background of architecture, I personally get excited to see wooden tables and chairs. It looks like recycled materials, which actually give a vintage feel to the surroundings. But I managed to get chatty with the owner of this franchise whom was really friendly to let us know all the details that we need. First off, he mentioned that he owns two outlets of the “Teh Tarik Place”, one in Bangsar and the other is in Selayang. 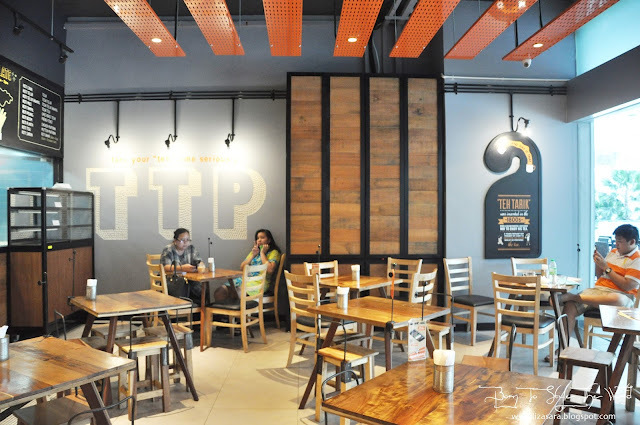 And guess what, only these two of the branches has special dishes served, making it stand out from the rest! 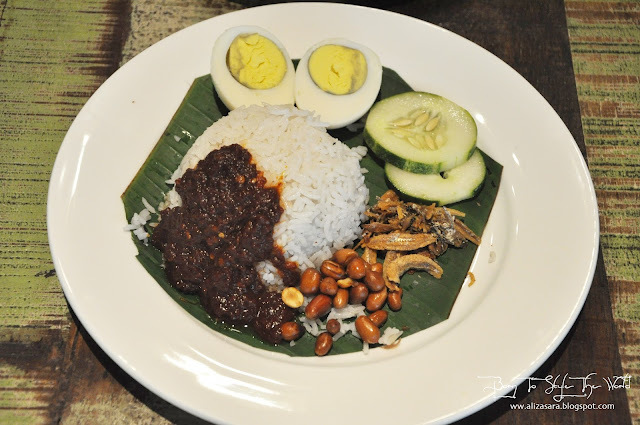 First up on the menu would be the “Kacang Pol Set”, a very famous Johor dish. I know I remember my first time having this dish in Johor, and it was definitely yums. If you haven’t tried Kacang Pol, well, you can always drop by the “The Tarik Place” and give yourself a go at it! 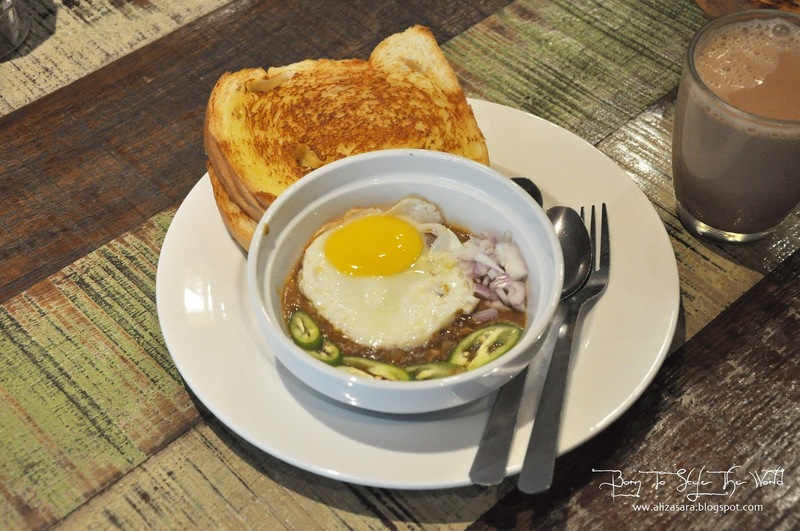 Its actually similar to chili con carne, but with a twist of Malaysian recipe. 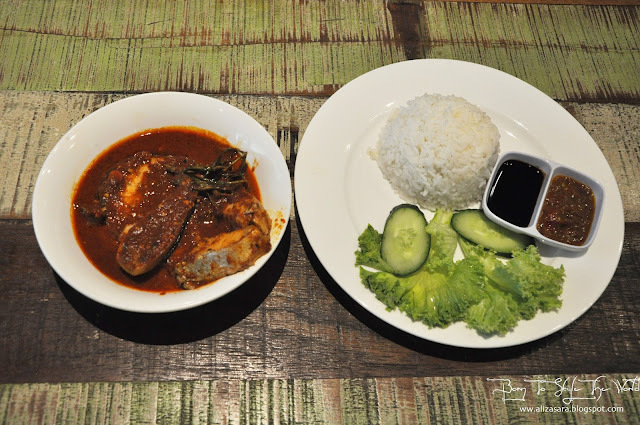 Next up was the Asam Pedas Salmon. 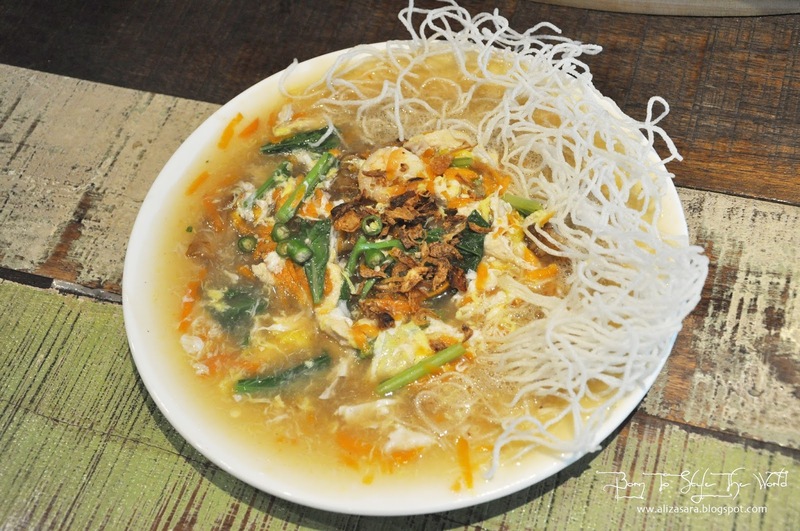 This dish add’s character because it’s a fusion of a Malaysian Dish. This is definitely my first time trying Salmon cooked in Asam Pedas. Personally I still prefer my authentic ‘Pari’ (aka Stingray) cooked in Asam Pedas , but if you love Salmon and up for a new tasting experience, be sure to try this! Keropok Lekor Rainbow is a really yummy snack to enjoy! It taste like your usual Keropok Lekor, but with an additional of the secret sauce. 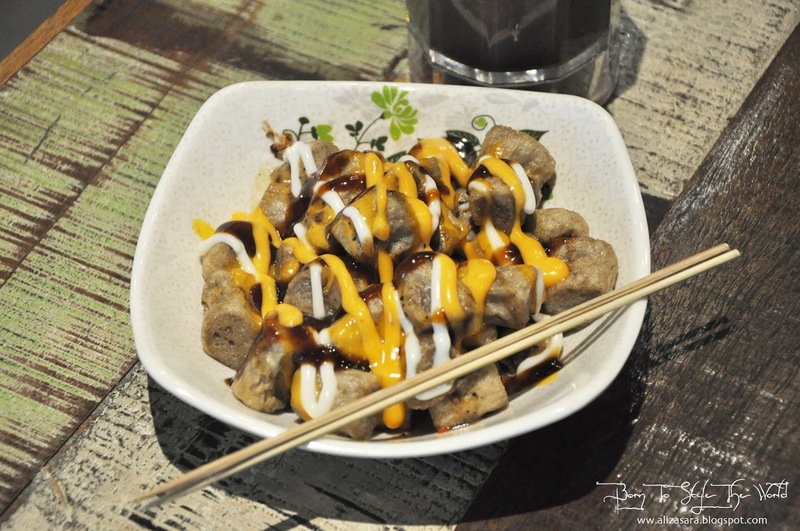 The dish is called Keropok Lekor rainbow because it looks really colourful, with stripes of cheese, mayonnaise and bbq sauce. Alternatively, you can still op to only have your preferred sauce too instead of having all of the sauce combined together. They also had sizzling Yee Mee which was my least favorite among the rest. I love how the egg is still sizzling the minute you receive it, but the sauce was a slight turn off cause it tasted rather salty to me. So if you are tempted to order this, be sure that you request to have less salt in this dish. 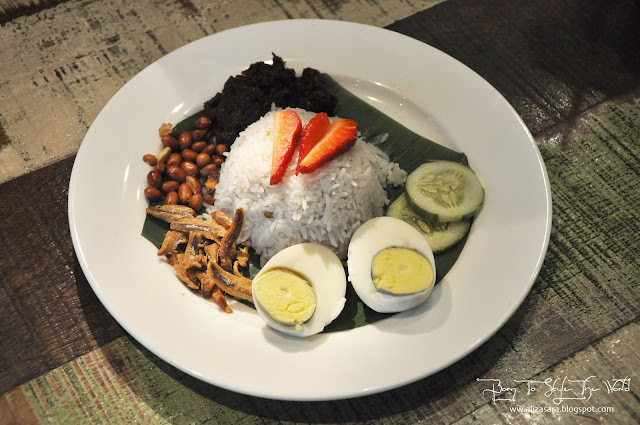 I was fascinated that they found an innovation in preparing Nasi Lemak! 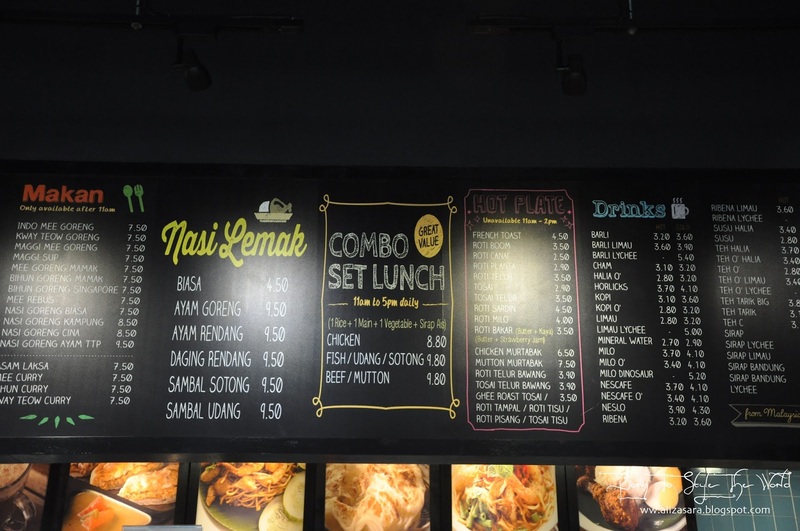 They have 3 choices of Nasi Lemak, one is Nasik Lemak Biasa, the Nasi Lemak Ayam Rendang and the highlight of it all, Nasi Lemak Sambal Strawberry! The rice is a little dry but I would definitely recommend you to try the Sambal Strawberry! Other than that, they also had Kuey Teow Cantonese which had their own recipe to enjoy. Rich with creamy sauce, making sure you enjoy your Kuey Teow till the last drop. This was not bad, but not the best I’ve tried. All I all, I think I can conclude that I would return for their Kacang Pol cause it was soooo good! So if you love meat, you have to love this pot of juicy tender con carne! 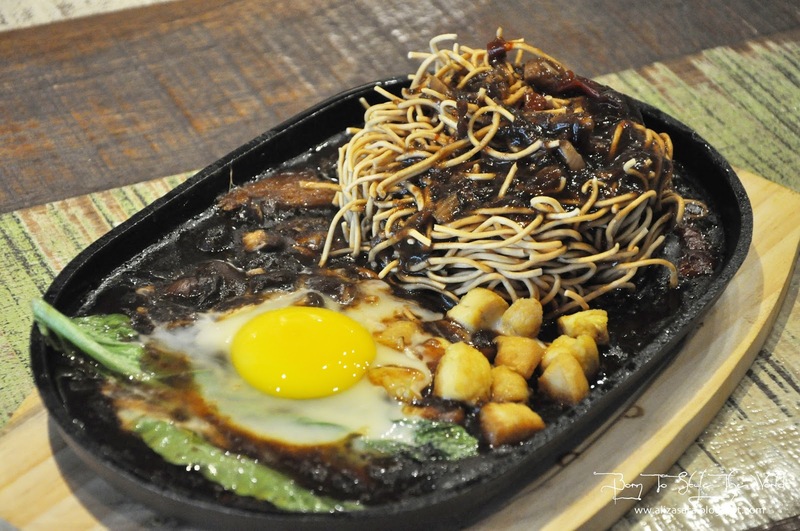 And my least favorite would be the Sizzling Yee Mee, but maybe its because im not a fan of salty food. It might taste amazing to you, because yknow we all have different taste buds at the end of the day. Before I forget, please do take note that the space here is also available for rent! 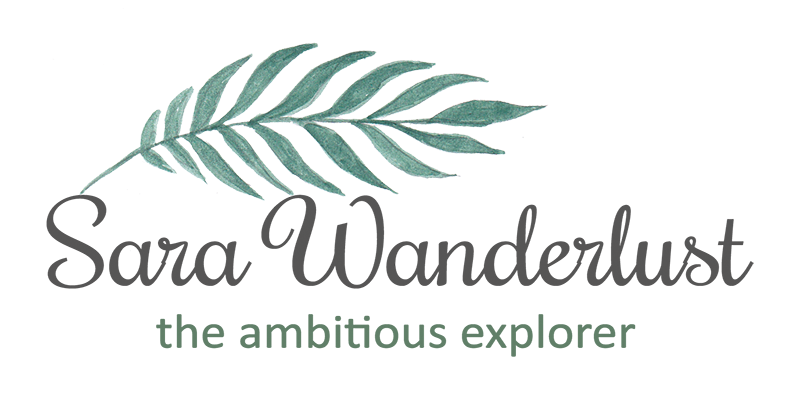 They can block the space up for you for up to 2 hours at a flat rate of RM1000 and an additional of RM500 if you want food to be provided as well for 20 pax (add on additional RM25 per pax). And thats that! 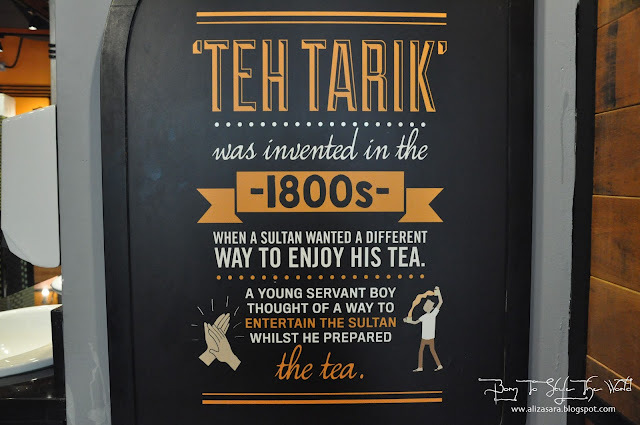 Be sure to get your taste buds tingling at the Teh Tarik Place. hehe. Please note that the dishes mentioned here are ONLY available at the Bangsar and Selayang Branch ;) I've also listed the address below for your convenience. hehe. 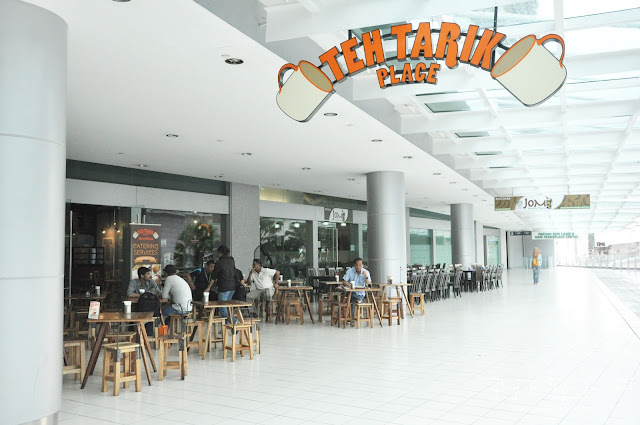 Dont forget to leave a comment if you have your personal favourite dish you like to order at the Teh Tarik Place.